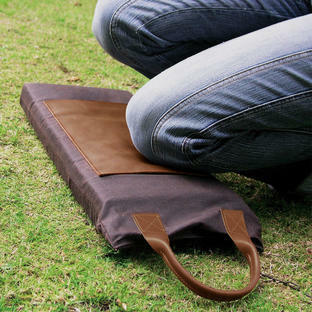 Wooden tool box perfect for hand tools, twine and seeds. 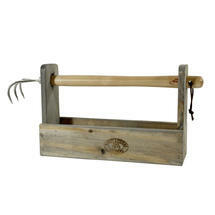 Traditional styled tool box with removable rake handle, to keep your garden tools tidy and organised. 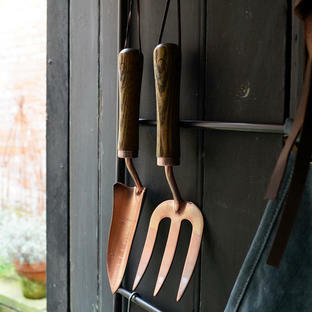 Shown here with the copper hand trowel and fork and Soft Touch Gloves - not included! 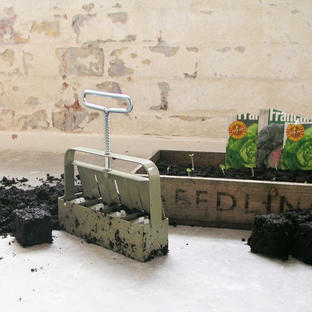 The wooden box is made from pine, with a vintage grey wash. 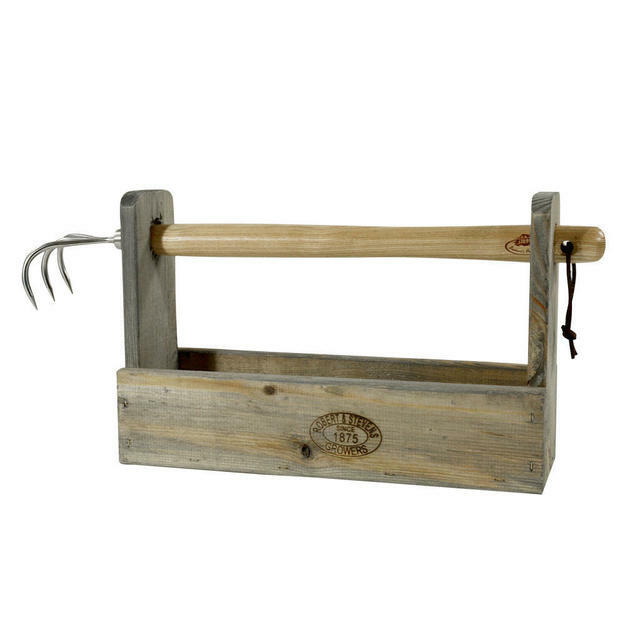 The handle is a removable claw rake hand tool, useful for clearing and weeding heavier soils. The wooden box is made from pine. 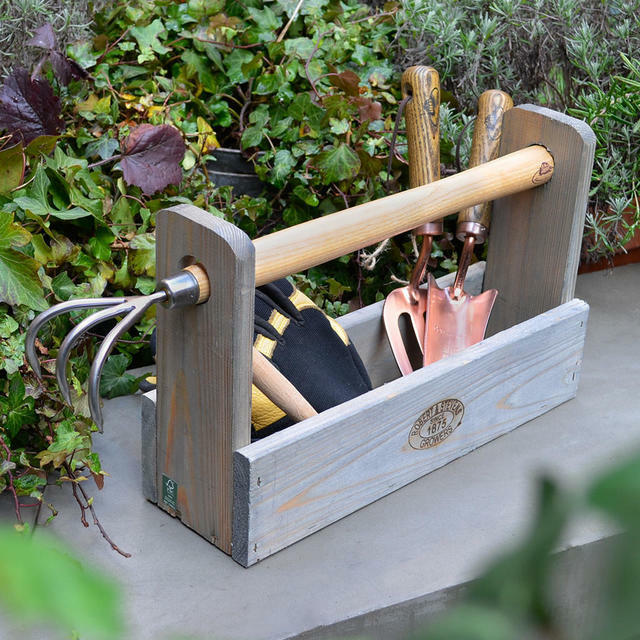 The rake has a steel claw and wooden handle.